Althea Gibson, approx. 1957. Photo courtesy Johnson Family Archives. Sometimes it’s best to turn a blind eye to a film’s missteps and focus instead on the relevance and timeliness of its subject matter. That’s definitely the case with Althea, the latest installment in PBS THIRTEEN’s American Masters’ series premiering tonight, Friday, September 4, 9:00 – 10:30 p.m. ET/PT (Check local listings for air times in your region). 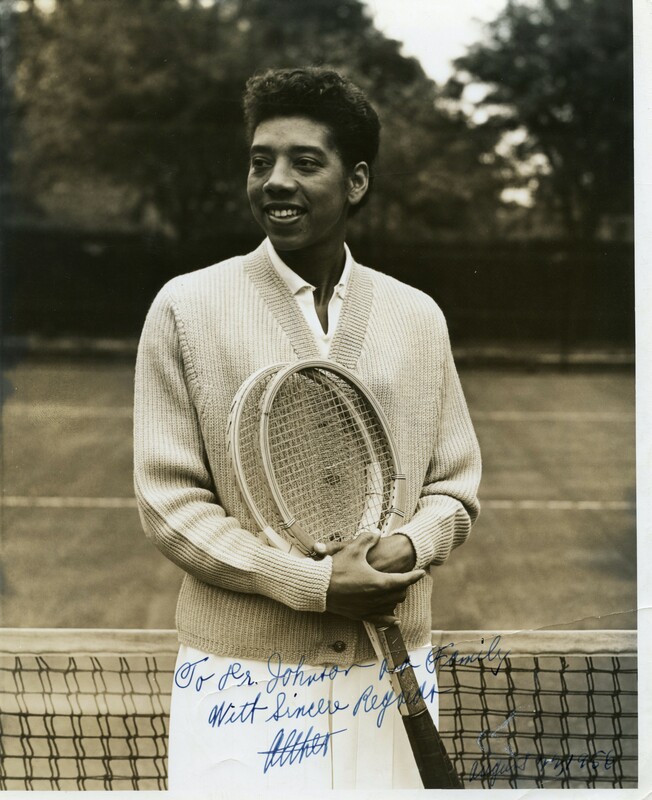 Programmed to coincide with the U.S. Open currently underway in Flushing, NY, Althea pays long overdue attention to tennis trailblazer Althea Gibson (1927-2003), the first African-American to play at and win the U.S. Nationals (1957 & 1958) and Wimbledon (1957 and 1958). The U.S. Nationals were a precursor of the U.S. Open. Without the trail blazed heroically by Althea Gibson during the 1950’s and 1960’s when African-Americans, and women for that matter, faced an uphill battle to be taken seriously on the court, there would be no Venus or Serena Williams…or Arthur Ashe for that matter. At this writing, Serena Williams is a current contender for a Grand Slam sweep. And it took almost 20 years after Althea’s historic victory at Wimbledon for an African-American male–Arthur Ashe–to win the men’s singles title at Wimbledon (1975). 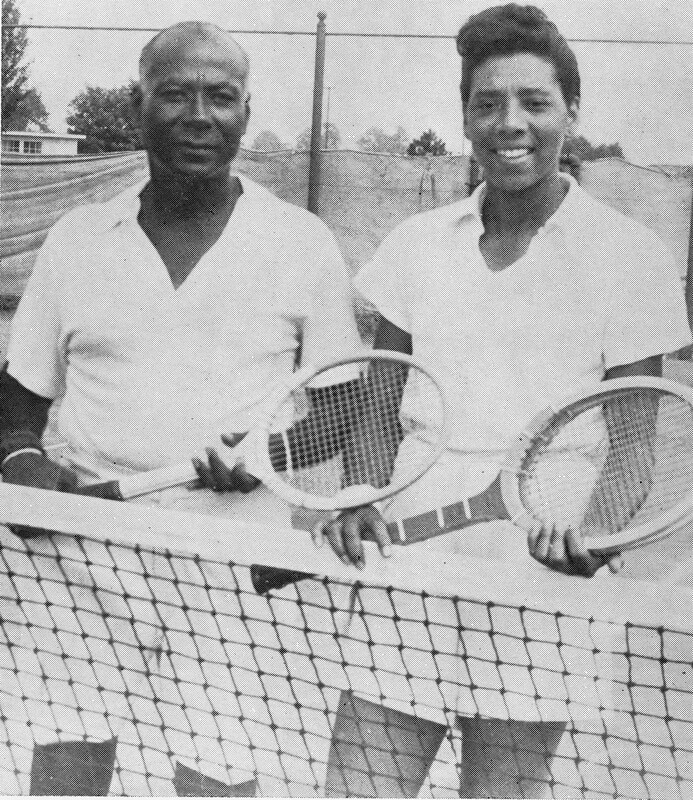 Althea Gibson with Dr. Robert W. Johnson, one of her early mentors. Photo courtesy Johnson Family Archives. Tennis was hardly an obvious choice for the sharecropper’s daughter who grew up a tall, gangly tomboy on the streets of Harlem playing basketball, skipping school and tussling with anyone who stood in her way. Her prowess on a neighborhood paddle tennis street court caught the attention of local tennis coaches and sports figures who took her under their wing, channeling her raw talent, smoothing out her rough edges and pointing her in the direction of serious mentors like Dr. Hubert Eaton and Dr. Robert W. Johnson. Eaton and Johnson were respected physicians who also worked with and toured promising young African-American tennis players. The film, produced and directed by Rex Miller, tracks Althea’s journey from the streets of New York through her storied rise through the segregated, sexist world of amateur and professional tennis during the 1950’s and 1960’s. Abundant archival footage and photos, as well as the reminiscences of fellow players, including her doubles’ partner Angela Buxton and tennis champ Billie Jean King, also an executive producer of this film, drive home the racial and financial obstacles Althea faced in order to reach the pinnacle. Althea’s sweet National and Wimbledon victories–the latter also remembered for her awkward face-to-face with the Queen–and her professional exhibitions with the Harlem Globetrotters; her surprising singing, acting and recording careers; and her appearances on “The Ed Sullivan Show,” “What’s My Line,” and her chat with legendary Edward R. Murrow on “Person to Person,” all underscore the extent of her exhilarating public adoration at the time. But then, somehow, she disappeared from view. While the film is a generous catalog of Althea’s professional challenges and triumphs, her personal life during and after reaching her career milestones is pretty much marginalized here. Questions raised about her family dynamic, love life and marriages, mental health and her slide into destitution and final days in Newark, NJ, are left unanswered. The film is also burdened at times by an intrusive, over-enthusiastic period music score and abrupt transitions that could use some fine tuning. Althea Gibson at the West Side Tennis Club, Forest Hills, NY, circa 1957. Photo courtesy West Side Tennis Club Archives. American Masters: Althea is, however, well worth savoring for its record of the life and times of this remarkable sportswoman. Althea never claimed to be a role model and trailblazer in her sport: “She just wanted to play tennis,” recalls Billie Jean King. But the film serves as an important reminder for seasoned tennis enthusiasts and an eye-opener for the rest of us that the tennis world as it plays out now in the U.S. and abroad (i.e., the equal participation by men and women of all races and the competitive financial remuneration) owes much to Althea Gibson. Her name and accomplishments should never be forgotten. 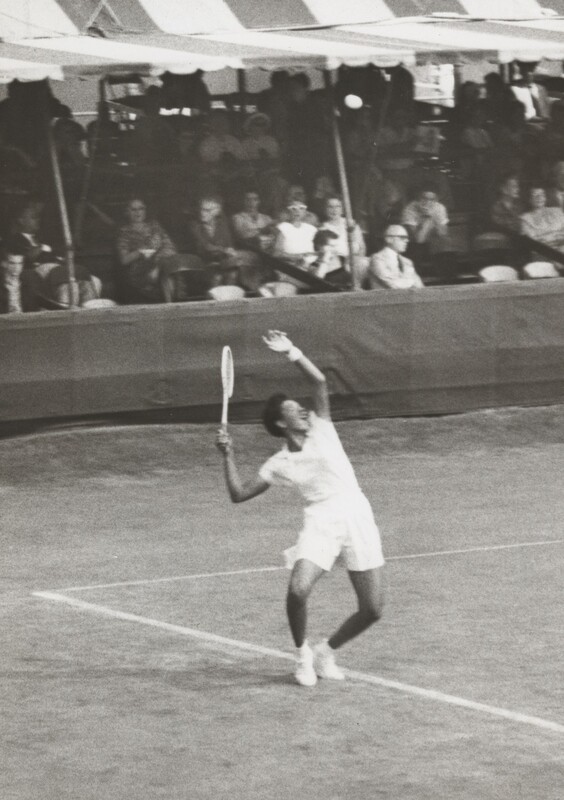 This entry was posted in TV and tagged African-American Studies, Althea Gibson, American Masters Althea, American Masters Billie Jean King, Billie Jean King, Rex Miller, Segregation, Serena Williams, Sports, Tennis, US Open, Wimbledon, Women's Issues. Bookmark the permalink.